Céline Lamée, graphic designer and director of Lava Beijing: "In China, things have to be in balance visually"
Céline Lamée, a Dutch graphic designer, settled in Beijing 5 years ago to establish Lava Beijing, a design agency first born out of the parent company in Amsterdam. We caught up with Céline on Lava’s cross-cultural designs and community-related projects such Mobile Design Agency and Window Shopping, which made Lava famous in the local community and in the industry. Where does the name LAVA come from? 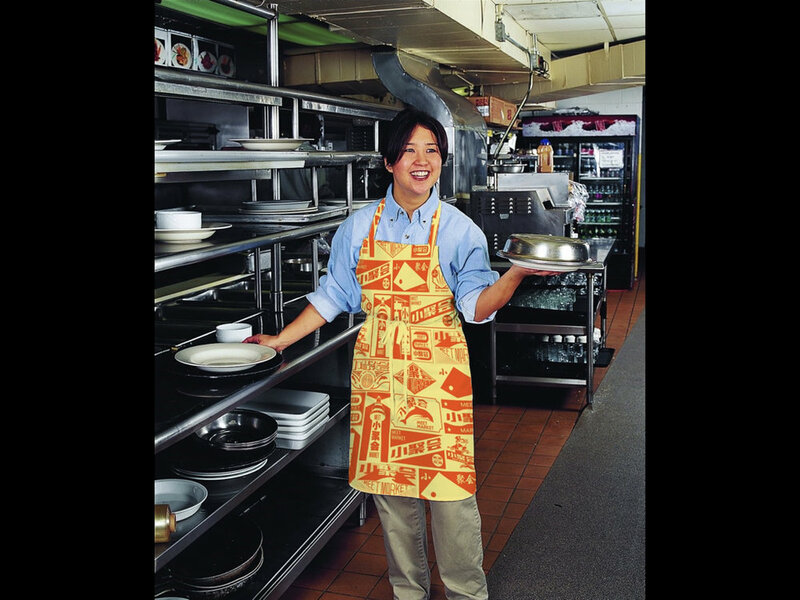 Lava was founded 28 years ago, in 1990, by Hans Wolbers and his business partner at the time. The very first thing they did was to go on holiday for a month, because they reckoned they’d be too busy later. They traveled separately but one day, just by chance, they met at Mt. Bromo volcano in Indonesia. They thought it was a pretty cool coincidence, so they called their new design company Lava. With a volcano, there’s always new stuff bubbling out. There is no certain style of what we do and our designs. It’s more like whoever works there sets the style. Why did you decide to set up a Beijing agency? I have been working in Lava for 11 years in total. I worked in Amsterdam for six years and I came to China around 5 years ago, to set up Lava Beijing. I didn’t know anything about China before coming here. It wasn’t my dream or anything. I just wanted to do something different in my life. When my boss asked me if I wanted to go teach a workshop at CAFA, I jumped at the chance. I was completely blown away. So many things are going on here, it was chaos and crazy, a cool scene to meet a lot of people interested in design. I loved it immediately and decided to stay. A colleague and I started Lava Beijing from scratch. We met one client, then another and things grew from there. I got the chance to take it over as my own company a couple of years ago. What has changed or evolved, in 5 years? I came here with just one colleague. We didn’t know anyone, and we just worked from cafes and out of our apartment. Since then we have worked for Beijing Design Week, the French, Swiss, Australian and Dutch Embassy, CKGSB长江 , UXIN 优信二手车, OCAT and Seaworld in Shenzhen, Taikooli in Beijing, among others. More and more people have got to know about us and projects have been flowing in. Now we have a studio with an international team: Chinese, French, Malaysian, Russian, Chinese and Dutch. Can you tell more about a few projects that have been really exciting here? Although the clients vary from corporate to cultural, we approach all of our assignments in the same way. We try to find the core of what an organization is about and translate that in a clear visual way. Sometimes bold, sometimes with humor. Many of our self-initiated projects reflect directly on the community in which we live and work. Since it was the 12th edition of the festival (十二 in Chinese) we combined images from France and China using the + and = . Creating ultra short visual stories using juxtapositions. 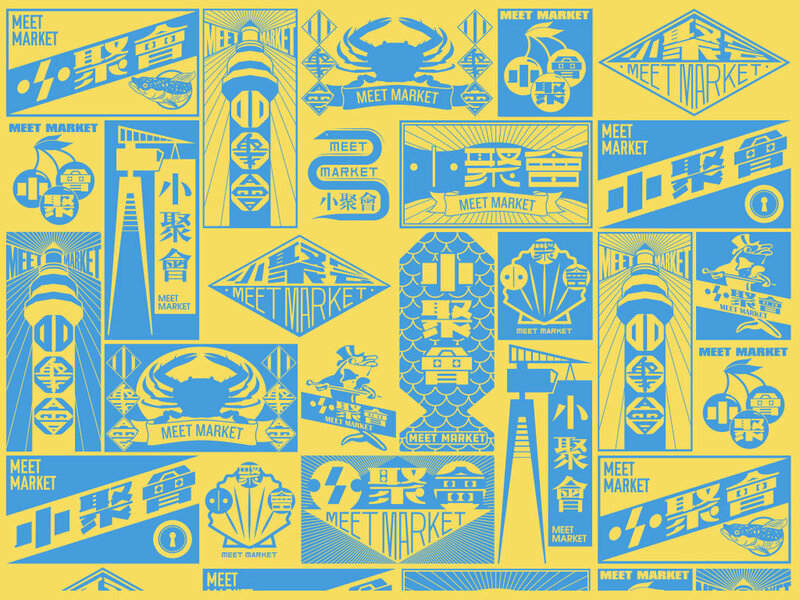 For a foodcourt in Yantai, Shandong, we made a visual identity in the shape of a pattern. The many logos in the pattern represent the range of different tenants inside. The logos are inspired by early 20th century brands from Chinese and foreign entrepreneurs in Yantai. Since the beginning of 2017 a lot of small businesses in Beijing were knocked down or forced to close. Those still open had maybe just one window from which to sell their goods. We’d pass them every day and thought they could use a bit of happiness, in the shape of design. 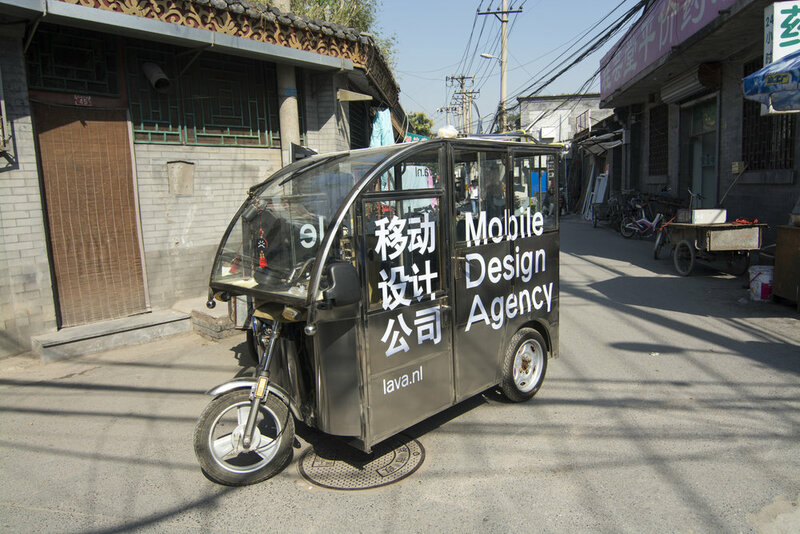 How does an international design company like Lava Beijing confront China and a different culture? What does it mean in terms of graphic design? I feel there are lots of things you can't control, but I try to focus on what we can do, using design, in our immediate surroundings, and keeping a positive vibe. Also, since my Chinese is not great, design allows me to connect in a direct way with the community in Beijing. Learning from feedback is also different than what I was used to in there Netherlands. As you might have heard we are known to be direct people. In China strong feedback usually reaches you in a softer way. For example ‘We think it might be a good idea to adjust that color’ definitely means ‘Don’t show me this color again’ So we’ve learned to pick up on those signs a bit better over the years. How is visual language different in China? A few examples I’ve come across so far. Things have to be in balance visually. For example we were doing a design for a Sino-French debate and it was all about gates. We had this Chinese gate, and there was water underneath with a reflection of the Arc de Triomphe. The fun thing was you could switch them around, with each gate either on top or in the reflection. But then the client said, “No, you cannot have one on the top of the other, the balance is lost.” We said, “But you can switch.” They argued that it would be embarassing for the one at the bottom. Yin yang is all about balance, for sure, but there’s no need to translate that literally into your design. We made a black and white design for an exhibition, super crazy, super cool. Showed it to the client and everyone was okay, but there was this one guy who, at the end of the presentation, said: ‘I don’t know, it makes me think of a funeral.’ Chinese funeral banners are black and white, true. But it’s all about proportion and composition. It wouldn’t leave many happy designers in a country where you can never touch black and white, haha. For a conference on the Silk Road we made an abstract design of lines, weaving into each other, creating characters, like weaving silk. The Chinese client’s main objection was the abstraction, on the basis that a Chinese audience cannot understand abstract shapes. I think this is complete nonsense. One glance at Chinese characters proves it. Today our Chinese clients tend to be younger entrepreneurs or people who have travelled around or studied abroad. They come to us for a reason and they like our clear and conceptual approach. You can take ideas from Chinese culture and do something contemporary with them. That’s what we try to do with a lot of our projects, carving out something new instead of representing an existing visual of China.